20 NovHow Important are Current Assets? Current assets are balance sheet assets that can be readily converted into cash within one year or less. Because current assets include stocks and cash equivalents, anything that has the liquidity to turn into cash will be recorded as a current asset in the balance sheet. 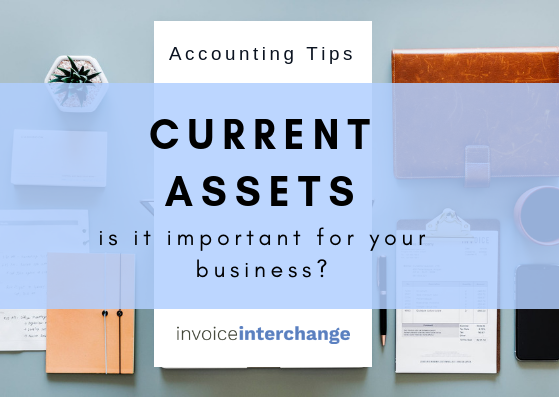 It is important to understand that not all current assets on the balance sheet are equal as they vary depending on the type of business you operate. When recording current assets on the balance sheet, they are usually displayed based on the order of liquidity. The easier they can be converted into cash, the higher up on the balance sheet they will be placed. Why are current assets important? Current assets are important because they are used to pay daily operational expenses and other short-term financial obligations. The current assets figures provide general insights into a company’s cashflow and liquidity position. Often, creditors and investors keep a close eye at the current assets of a business to assess the value and risk involved in its operations. The ratio of current assets to current liabilities is particularly important in judging liquidity. Below are the key elements of current assets. The most liquid form of current assets. Cash includes bills, currency notes, coins, checks received but not yet deposited, and petty cash. While cash equivalents include money in bank accounts, money market accounts, and short-term investments e.g. US Treasury bills and commercial paper. Marketable securities are considered current assets because their maturities are typically less than one year. They are the ideal places for businesses and investors to park their excess cash for a short time while they wait for an opportunity to deploy it. Money invested in marketable securities is readily accessible with negligible risk of default and investors can reap returns higher than what would be earned from a bank savings account. Accounts receivable is the value of a company’s outstanding invoices owed by customers for products and services delivered. It is a common sight for customers to take between 60-90 days to repay amounts owed, although the average payment period varies by industry. On the other hand, accounts receivable made by offering customers longer term of credit beyond 1 year will not qualify for inclusion in the current assets. Whenever it becomes doubtful whether a customer will be able to repay its debts, we need to make an allowance for this in the balance sheet. This can be done by making a “provision for doubtful debts” account that is used along with the Accounts Receivable for the balance sheet to report the net realizable value of the accounts receivable. Accounts receivable can be optimised by having a stringent credit assessment on the customer, effective invoicing procedure and strong collection process. It can be converted into cash immediately via invoice financing. Prepaid expenses are future expenditures paid for in advance. They are recorded on balance sheet as current assets until the amount expires. As the amount expires, the asset is reduced, and an expense is recorded for the reduction. One example of a prepaid expense is payment to insurance companies. Inventories, also refer to “stocks” are the least current asset. They include raw materials, in-process products, and finished goods that are ready for sale. A profit is only recorded when inventories are sold. Inventories which are damaged/ lack demand may not be eventually sold. As such, they had to be sold for less than their cost or thrown away. For these inventories, the balance sheet value should be the amount that can be recovered if the stocks can finally be sold. Other liquid assets include any other assets that are expected to turn into cash within the next year. Examples: previous long-term investments maturing within a year and a piece of equipment set to be sold within a year. What does a strong balance sheet look like?